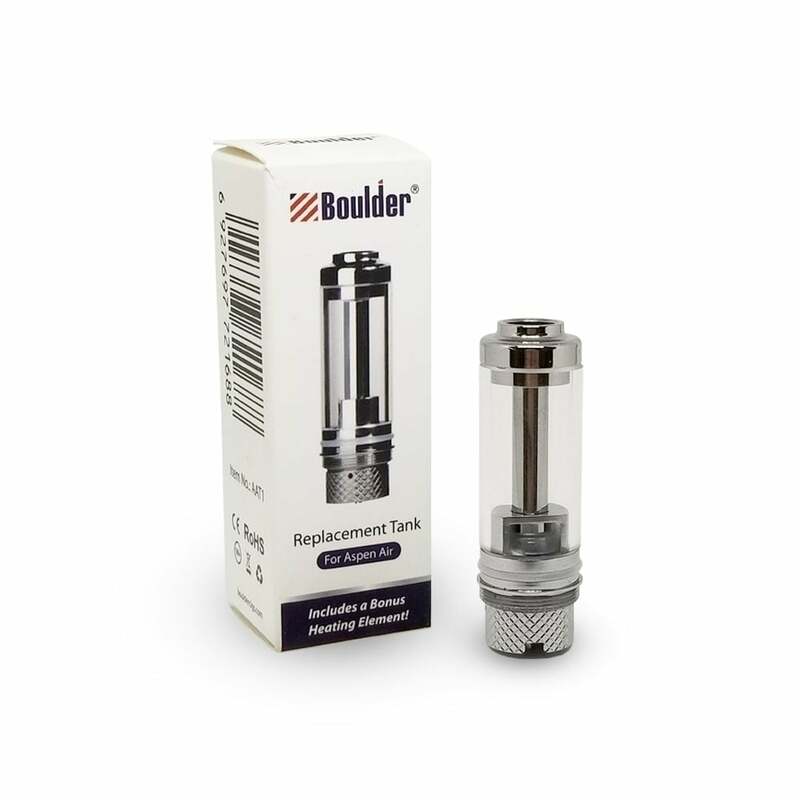 This is a replacement tank for your Boulder Aspen Air Vape Pen Kit. Designed to be slimline but durable, the Aspen Air Replacement Tank has a silicon glass construction, providing better clarity and strength than Pyrex, which means the tank is slimmer with no loss in e-liquid capacity. The tank includes a 1.6ohm heating element. To replace your Aspen Air Vape Tank: remove the mouthpiece, followed by the tank cover, then unscrew the tank from the battery and replace with your new tank.